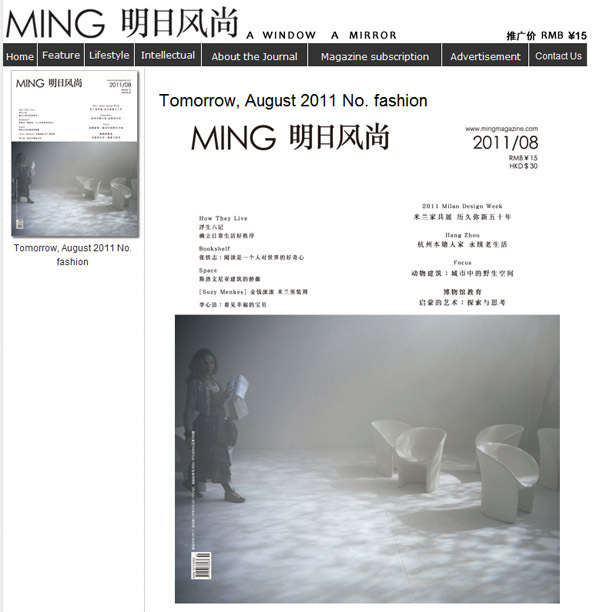 Recently our Chief Editor Ned Dodington was interviewed by Ren Wan of Ming Magazine. Check it out. The magazine should hit the stands this month! – What do you mainly focus on, professionally? ND: I should say here that I am employed full-time in an interior architecture firm. So, I guess one could say that professionally I focus on interior architecture, and sadly I don’t get to use much of my talents and interests with Animal Architecture in that arena quite yet. However for the sake of your article and with respect to Animal Architecture I try to keep my focus on any project or opportunity to illustrate a productive intersection between man and nature or, as I like to say it, between human and non-human animals. The opportunities to make these illustrations can be at a range of scales and, as the content on Animal Architecture I think illustrates, can be quite different, one from the next. The point, just to reiterate is to show how humans can relearn how to live again with other creatures. – What motivated you to focus on animal architectures? ND: I’ve had a twin obsession with biology and architecture for quite some time, probably more than a decade at this point. That interest has taken me to some extremes stylistically and theoretically with respect to my work but had never really felt fun or natural until I began to actually take other animals, their habits, behaviors, and patterns seriously. My interest hit a high-point a few years back when, for a school project (I was getting my M.Arch at Rice U. in Houston then) I investigated the potential to use oyster reefs to mitigate soil erosion on Galveston Island. This quickly turned into a fascinating investigation into the habitats of gulf oysters, their behaviors, unique morphologies, and their place, as well as ours, in a much larger ecological system. I’ve been hooked ever since. Animal Architecture.org the website grew out of a need to further investigate what I was starting to believe was a really powerful revelation, that there might be other ways for humans and no-humans to somehow benefit each other — and also simply to discover what else and what other like minds were out there. – As far as I know, the situation is that human occupancy over the Earth is overwhelming, little space is left to wildlife’s inhabitance. How bad is the situation? ND: To be honest I think this is a very difficult question to ask and a very hard thing to know. Firstly you have to ask “bad for whom?” Is the situation we’re in bad for Humans? Yes. Pandas, tuna, lions, and a host of other animals? Also yes. But it’s maybe not so bad for the insect populations for example, or for the tube worms at the bottom of the ocean feeding on sulfur. I suppose I believe the current pending ecological disaster is simply going to serve to wipe out Humankind along with some of the larger Macro-fauna, but it’s an important point to keep in mind that the Earth, the planet itself, will remain indifferent to our calamity. It will go on spinning in space with our without us. Now this doesn’t mean that we shouldn’t do everything in our power to stop or lessen the pending calamity (which, by the way I do believe will be disastrous, though again there’s little way to know to what extent for sure,). I am not a climate expert but from what I know and from what you seem to be referring, I don’t think the issue is so much an over-population of Humans as it is over-consumption of resources by the humans. The research that I’ve come across seems to suggest that the planet could more than likely support far more human life, just maybe not in the style of life that some of us have become accustomed (getting fat, burning everything around us, owning 3 and 4 vehicles, etc…). 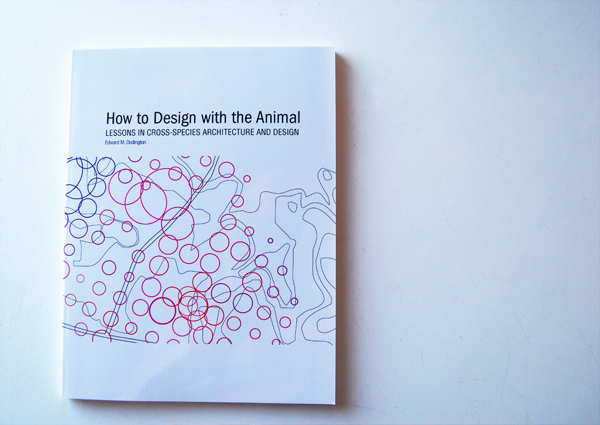 – Do you know animal architectures will make a huge difference to tackle with the situation? ND: I do think that the kind of multi-species awareness that is being incubated by projects like Animal Architecture will lead to a new and promising way to deal with an uncertain and environmentally challenged future. How it will do that I’m really not sure. I do know that there are many millions of species on the planet, each with a unique way of living in the world. Surely there are some answers to our problems there. – Are animal architectures growing in a promising shape? I mean, will it become a phenomenon in your opinion? ND: Absolutely. I think in fact that it already is a phenomenon. Each year I see more interest from architects and designers all over the world wanting to more productively engage ecological forces in their practices. And certainly things have been trending in this direction for some time. From the Green Movement, to a rise in landscape architecture, to bio-mimicry (which I differ from slightly and disagree with largely) and a greater and greater understanding of the beings we share the world with, I think that it’s only natural for us as people and designers to strike-up a conversation with these other earthly inhabitants. – In the modern context, what do you reckon is the main purpose / mission of architectures? ND: Ren, I’m not entirely clear on this question but time is limited so I’ll give it my best shot. Use it if you think it works. For me the main purpose or/mission of Architecture is all about making a positive impact in a place, in the neighborhood, in the city, in the world, etc… This might be very naïve but I really do think that we as designers or architects must, out of necessity, have a kind of altruistic approach to our work in the grand scale (I understand that not everything is possible all the time) and if the ethic isn’t there, then we’re not doing a good job, — it’s just building at that point. For me architecture and design are the best tools that we have to shape our world. We’ve made a mess of it for the last one or two thousand years, maybe it’s time we tried something totally different — there is still time to get it right.